Indian Coast Guard Navik Admit Card 2019 (भारतीय तटरक्षक नाविक प्रवेश पत्र 2019- आईसीजी जनरल ड्यूटी परीक्षा दिनांक): Candidates are informed that the Ministry of Defence has released the Indian Coast Guard Navik GD Admit Card for the written examination which will be held in the upcoming days at various exam centers. The admit card is available for the download on the official website from 11th to 21st February 2019. Candidates will be able to check the Indian Coast Guard Navik Exam Date, time, venue and other details through the Exam Admit Card. The Join Indian Coast Guard, Ministry of Defence was released the Indian Coast Guard Recruitment Notification to fill up the Navik (General Duty) post through the Written Examination Process. Now the Exam Authority has declared the ICG Navik Exam Admit Card only for those candidates who were completed their application form on or before the last date with the correct details. After successful submission of application form, a unique Application/ Registration Number was provided to the candidates. Candidates will use this number detail and can download the Indian Coast Guard Navik Hall Ticket in the online mode. Get the complete details of Exam Admit Card from here. Visit the official Website of the Indian Coast Guard. Go to the New Event Section. Click on LINK FOR PRINTING E-ADMIT CARD FOR NAVIK (GD) 02/2019 BATCH. Enter the Registration Number or E-mail Id. Click on Get Details button. Save or Download the Admit Guard. The Indian Coast guard Examination Schedule has been made by the Ministry of Defence. According to the notification, the Navik GD written Examination will be organized in the month of March/April 2019. Candidates are advised that they must download their ICG Navik GD Exam Admit Card on or before the Exam Date. For submission at the Examination Centre on the date of examination. Any candidate who does not carry all these documents at the time of recruitment shall not be permitted to appear in the written examination. 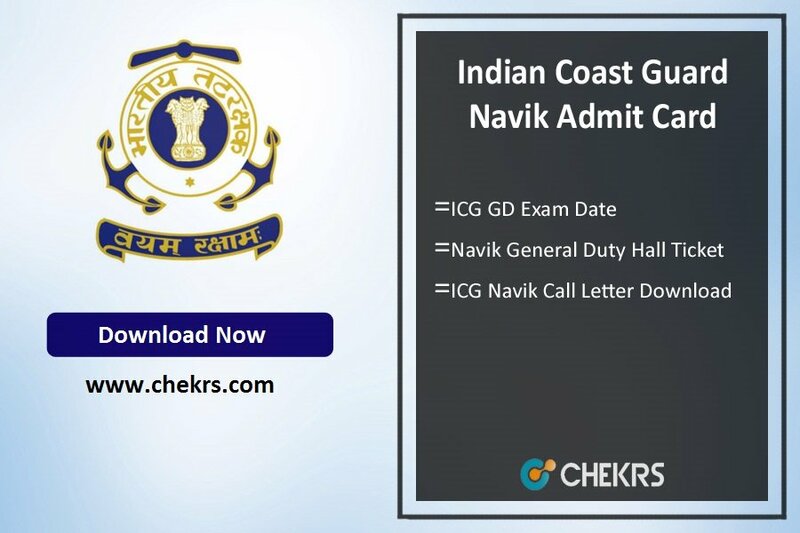 To know more about the Indian Coast Guard Navik Admit Card 2019, keep visiting our page and for any sort of query, you can place your valuable comments in the commenting section.